At around 8.30pm on March 31 2011, 22-year-old Randy Robinson — who was a talented footballer who represented Bermuda in the Island Games — was shot multiple times in the Border Lane North, Pembroke area, and was pronounced dead on the scene. 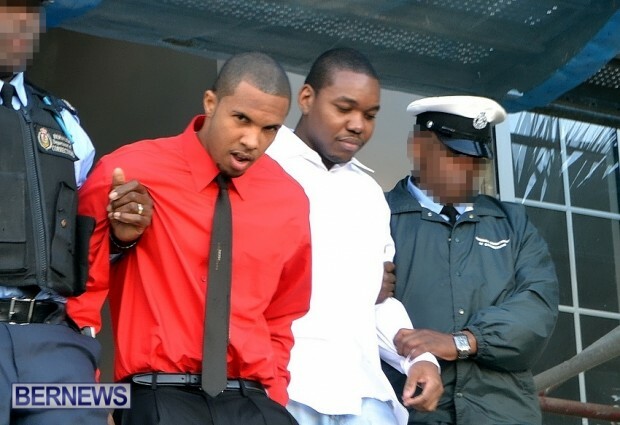 The Court’s ruling said, “On 25 February 2013 these two appellants were unanimously found guilty of the premeditated murder of Randy Robinson and of using a firearm while committing the offence. They were subsequently sentenced by Greaves J, the trial judge, to 2 life imprisonment with a requirement to serve 40 years before eligibility for consideration for parole. “This period was subsequently reduced on appeal to 25 years in the light of the decision of the Privy Council in Selassie and Pearman v The Queen  UKPC 29. There were concurrent sentences of 12 years’ imprisonment for the firearm offences. In describing the ruling’s conclusion, the Court said, “No one identified either of the appellants as the two on the bike when Randy Robinson was shot. The case depended on circumstantial evidence. In reality the case stood or fell against both together. “Hewey chose not to give evidence but Dill did and called three witnesses, his brother, a GSR expert, and Mr. Santucci. That evidence, once called, was of course evidence to be considered in the case of Hewey too. “There were many threads to the circumstantial evidence and it was a matter for the jury what they made of them both individually and collectively. “When one considers the evidence as a whole there was in our judgment a compelling case against each appellant. The verdict is safe and these are our reasons for dismissing their appeals against conviction”.